Posted on December 27, 2017 at 11:04 am. Bluffing opponents has always been an art mastered by professional poker players, but it appears Artificial Intelligence (AI) can now pick up on a tell. Earlier in the year, AI known as the Libratus, defeated four of the best professional poker players in the world at a 20-day competition. The event took place at Rivers Casino, where it won more than $USD1.8 million in chips. The Carnegie Mellon University researchers behind the robot have since revealed how it managed to win the no-limit Texas Hold’em poker tournament in a paper published by Science. While AI has been used in games, such as Chess and Checkers, this was the first time applying it to a game that also requires the human element of bluffing. Professional poker players get to the top by using strategies and techniques to trick their opponents into folding or going all in. Libratus developed a three-part strategy, first simplifying the game by grouping hands, such as a King-high flush and Queen-high flush, as well as similar bet sizes to reduce the number of potential outcomes in a game. “There is little difference between a King-high flush and a Queen-high flush,” Mr Brown said. The AI also created a set of tactics to play the first rounds of the game and then a loose strategy for the final rounds. It then reviewed its strategy as the hand came to an end, refining its approach by considering how the game went. Liberatus monitored its opponents moves, and every time a player did something unexpected, it incorporated it into its strategy in real time. The AI detects any mistakes the opponent made, which also helps it build its final strategy. 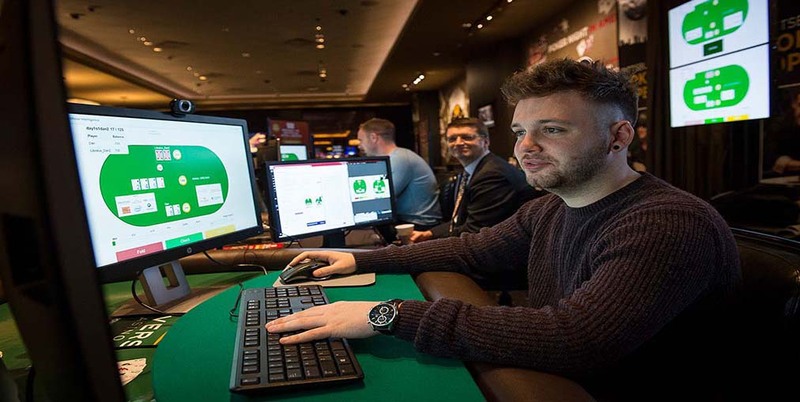 “Libratus’ self-improver module analyses opponents’ bet sizes to detect potential holes in Libratus’ blueprint strategy,” the team said in the published paper. Mr Sandholm’s company Strategic Machine licensed Libratus, which can be used in a variety of other applications other than poker. “The techniques that we developed are largely domain independent and can thus be applied to other strategic imperfect-information interactions, including non-recreational applications,” the team said. Looking to play poker online where no one can tell your bluff? Players from United States should check out Raging Bull Casino, which has a selection of poker games again, including poker against the house, that are regularly audited and tested to ensure fair and responsible online gaming.